Born in the Scandinavian plains, this winter sport has been neglected for decades for not being as colorful as snowboarding or alpine skiing, but it is perfect for trekkers. Their routes do not necessarily require much effort and you can travel both short and long distances: as this has never been a hindrance to us, well we can take advantage of the arrival of winter to go for a walk, this time with our skis. 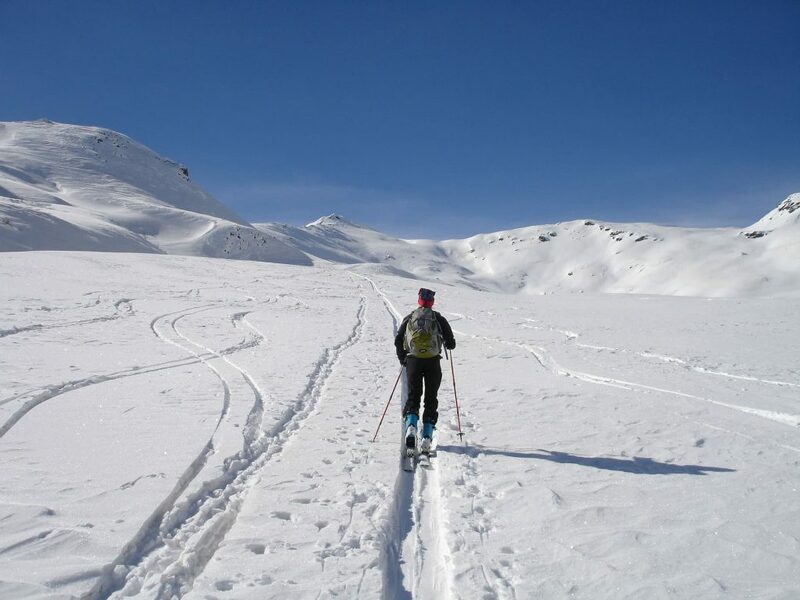 Transformed into a sport discipline, cross-country skiing is a type of skiing in which the person makes a glide on the snow on flat land or with very little slope. It is less dangerous than making descents and can be done by children and adults, since it does not require an excellent physical shape (of course depending on the route and distance you choose). It is an excellent way to be in contact with the snow if you are not as daring as to go snowboarding or doing alpine skiing. It is said that, if you can walk, you can do cross-country skiing. Fortunately, this modality has many followers and we have in Spain already specialized tracks for its practice. Therefore, from Walkaholic, we will tell you today the most outstanding places and best equipped for your enjoyment. Right next to the shelter of the same name, part of the Camille trail (section of the GR 11.1), the Oza-Gabarbito station and its circuit are in the Hecho Valley. Among pine forests, beech forests and natural meadows, it is integrated by a common stretch on a forest trail that is then divided into three tracks of different lengths and difficulties in the Oza Forest, for a 9 km total where you can practice cross-country skiing. These tracks take advantage of the beech woods to mark its Blue track (6 km) that reaches up to 1,600 m. of height at the foot of Mount La Cuta. There is also for beginners a Red Course, 835 m and 2 green intermediate courses of 2050 m.
Around the tracks there is a shelter with bar, lounge and a fireplace. In the shelter you may rent all the equipment for cross-country skiing , in case you do not want to bring your own. 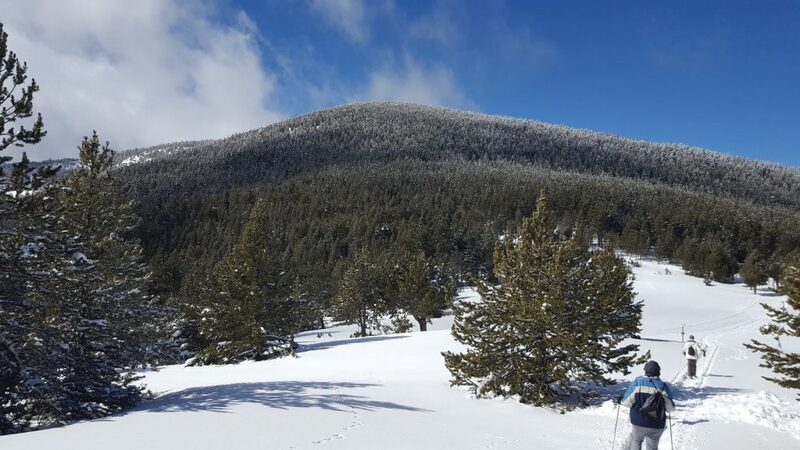 Thanks to the official maintenance of the Community of Madrid, this cross-country skiing circuit is completely open and free of charge, from the north end of the Los Cotos car park to where the work of stepping on the snow is carried out. This includes a route of up to 5 km in the area of ​​La Pradera. 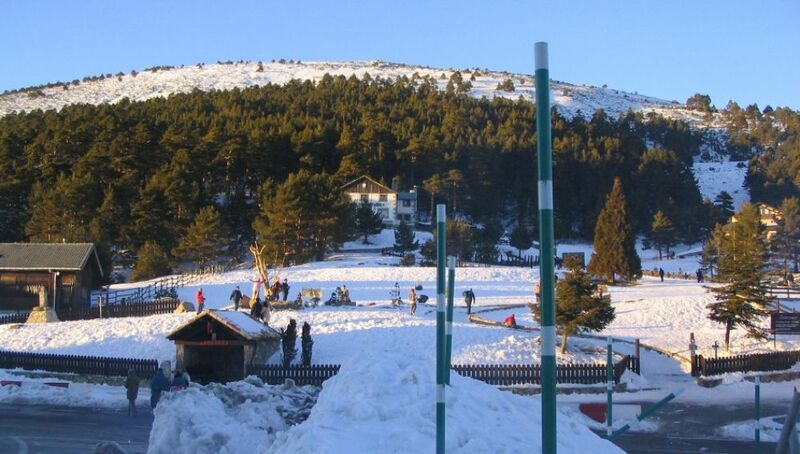 Belonging to the La Sierra de Guadarrama National Park, this circuit is suitable for the two types of cross-country skiing (classic and skating) and has a beginner’s area. The Roncal Valley Mountain Center (Larra-Belagua) has a Nordic ski resort located in Isaba, in the eastern part of the Navarrese Pyrenees. Belonging to the Belagua Valley, it allows you to fully enjoy the Pyrenean mountain range. The ski resort was inaugurated in January 2008 and has two main areas. The Ferial has 10 km (16, if there is a lot of snow) of ski tracks and other amenities for the tourist. The other area is called La Contienda, which has a terrace and cafeteria and 5 km of cross-country skiing trails. It is a station dedicated exclusively to this discipline located in the Sierra Nevada National Park, in Granada. In Puerto de la Ragua there are several circuits with different length and difficulty: 2.5 kilometers, 5 kilometers, 7.5 kilometers and 10 kilometers. Between large pine forests and with a slope between 2,000 and 2,200 meters, the snow stays here for several months during the winter, which makes the season very attractive for cross-country skiing enthusiasts. It has equipment rental services and ski school for beginners. In total, there are 25 km of tracks to enjoy skiing. On the Franco-Spanish border and surrounded by beautiful landscapes, the Somport ski resort has a total of 35 km of cross-country skiing trails, all of which are perfectly marked through open spaces and beech forests. In the heart of the National Park of the Pyrenees, it covers the range of colors of the slopes, from white beginners to expert blacks. 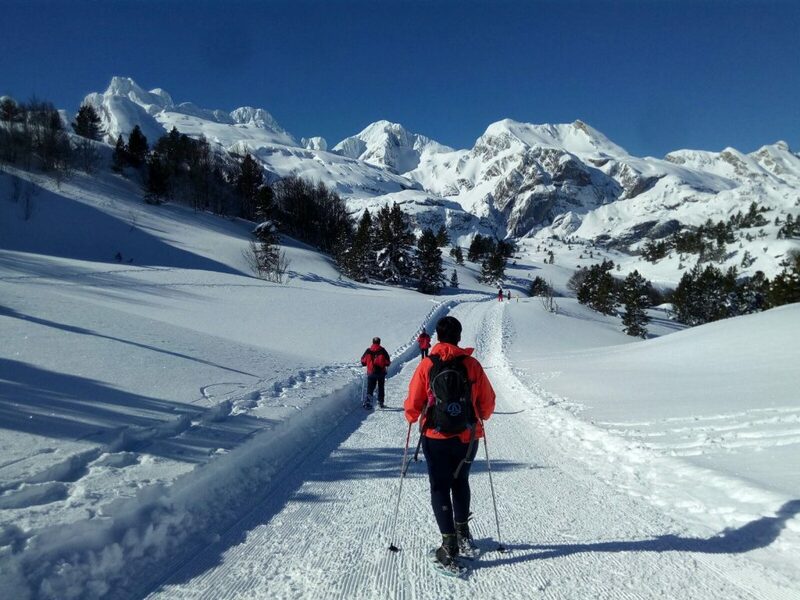 In total there are 9 tracks, 8 cross-country skiing and a 5km snowshoe track, thanks to merge of Le Somport and Candanchú circuits, which since 2006 has received the FIS homologation certificate. The payment of access to tracks is valid for the set of all Candanchú-Le Somport circuits, entering the same for the Spanish part as the French one. 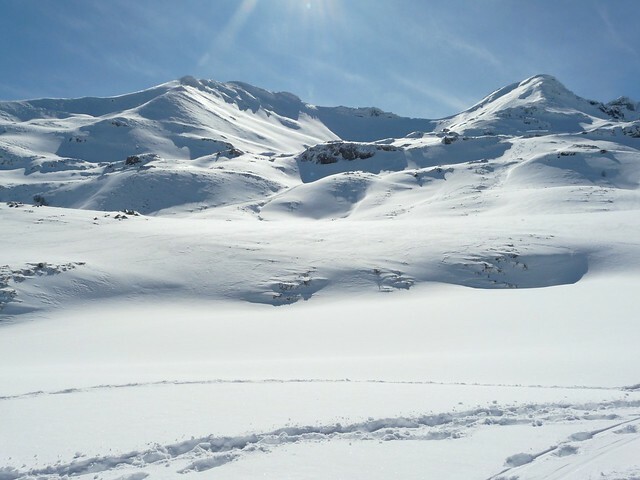 The Navafría Nordic ski resort is another option for skiing without going too far from the capital, with a lot of tracks to enjoy. It has a 5 kilometers, high difficulty track for the experienced, two tracks of medium level with a total of 14 kilometers and a 2 kilometers tracks for those who start in the cross-country skiing. In total, there are about 22 kilometers of fun for snow lovers. 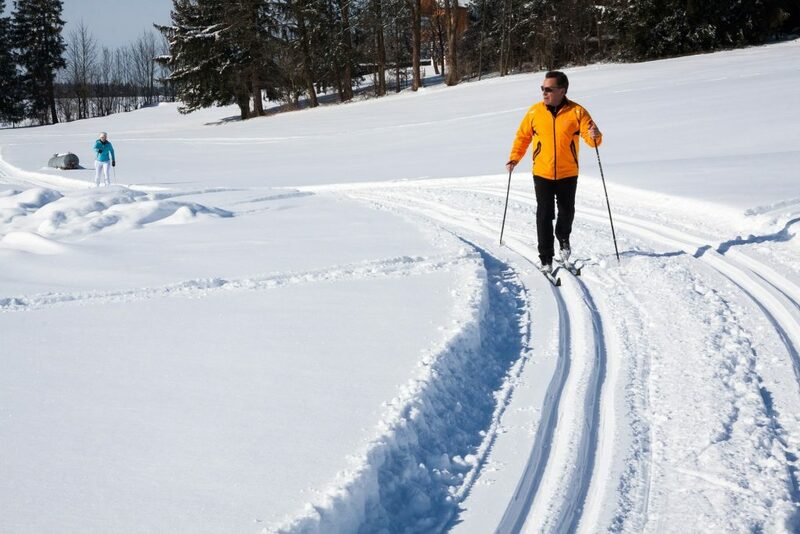 In addition to cross-country skiing, there are facilities for practicing snowshoes, Nordic walking and rollerski. Located in the National Park of Ordesa and Monte Perdido, in Huesca, the Pineta station is oriented only to cross-country skiing. It has four circuits: Felguera, ideal for beginners and only one kilometer in length; Pradas, with 2 kilometers through an almost magical forest; Ronatiza, longer and technically harder with its 11 kilometers, and finally, Mañaneto, the prolongation of Ronatiza with 8 kilometers and suitable for specialists only. With 23 kilometers of tracks and 1,200 meters of altitude, this station also hosts other winter activities such as a snowpark and ice climbing. At the head of the Curueño river is the Vegarada circuit and station, in a triangle that includes Redipuertas, Riopinos and the Vegarada pass. In this space, Valdelugueros Town Hall has delimited five free tracks for free cross-country skiing. Conditioned, maintained and marked by the Town Hall, they are an open invitation during the winter season to fit the skis. With altitudes ranging between 1,350 and 1,770 m and different degrees of difficulty, these trails are excellent both for those who wish to start in the activity and for expert skiers, who use these routes to train for top-level competitions. Also noteworthy is the work of those in charge of this circuit in the education and physical preparation of young people of school age. Located in the Pla del Arp, in the massif of Port del Comte, this station and its tracks are to the south of Sierra del Cadí. 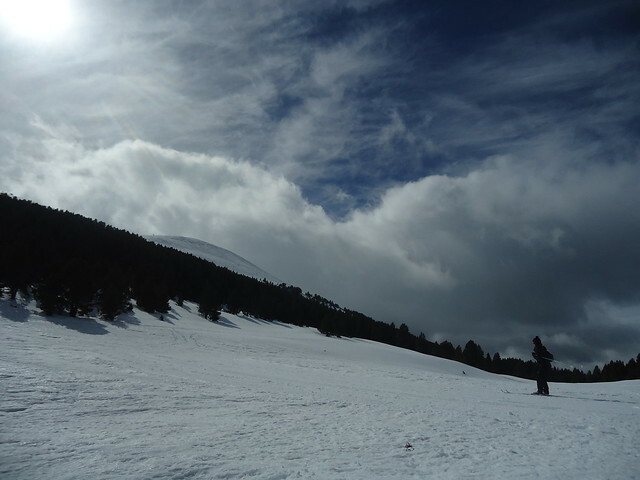 Opened in 1978 it is one of the oldest dedicated to cross-country skiing in Spain. With 30 km of cross-country trails at slopes between 1,830 and 2,150 meters which run between mountain forests, the station of Tuixent-La Vansa has first class services. For all tastes, the station has a green circuit of 1.8 km, a blue one of 7.5 km, another red of 13 km and for experts only it has a black circuit of 10 km. It also allocates 3.5 km for the practice of rollerski. Another of the pioneer stations of cross-country skiing in Spain, the Sant Joan de lˈErm station was opened in the early 70’s in the Natural Park of the High Pyrenees. Its tracks cover a total of 50 km, divided over 7 km of green circuit, 15 km of blue circuit, 26 km of red circuit and 2 demanding black circuit kilometers for the most experienced. These tracks go between vast and untamed forests of red pine, black pine, fir and birch between Alt Urgell and Pallars Sobirà. The altitude ranges between 1,700m and 2,050m. The station has La Basseta shelter, with 93 accommodation places. Despite the efforts of the stations, nature is capricious when it comes to delivering snow. Therefore, it is important to know if when we go on an adventure our destination is ready to practice cross-country skiing. Luckily, in the cross-country skiing section of the InfoNieve website we have a complete list of all the peninsula’s stations and information if they have enough snow for skiing. What about you? 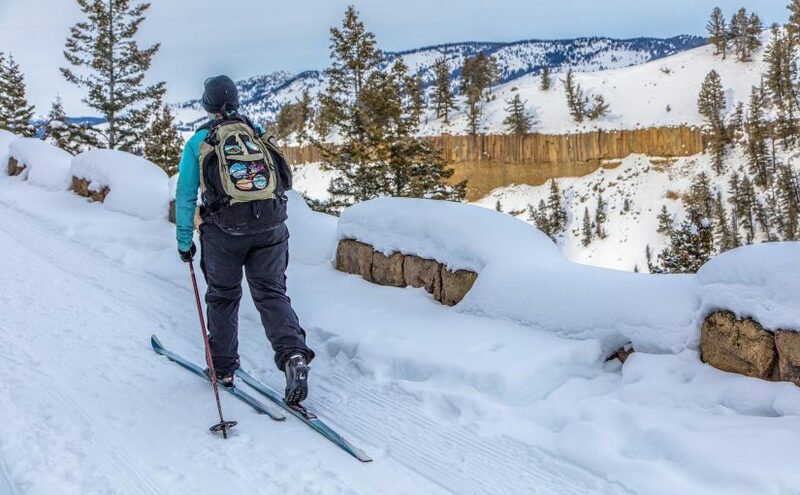 Do you have a favorite cross-country skiing site among these options, or do you want to add your favorite to the list? Leave us a comment, to help other hikers anxious to try this sport. Who knows? With skis and not with boots, we may find ourselves on the road one of these days.